I’m a sucker for good Sauternes, especially when a great vintage comes around. 2014 is already looking like one of those potentially classic vintages in Sauternes, like 2001, 2003 and 2007 where the combination of acidity, richness and botrytis creates some scintillating bottlings. A few weeks ago I ran through some of the new release Sauternes from some of the storied houses. 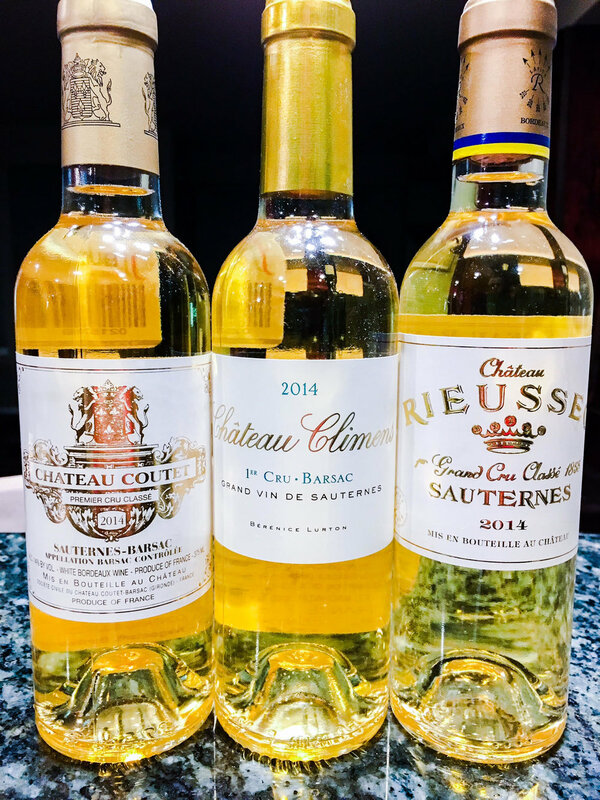 Many of these wines won’t break the bank, as wines from storied houses Chateau Coutet and Chateau Doisy-Vendrines will only run about $25 for a half bottle and are downright awesome values out of Sauternes. While I have yet to try the 2014 D’Yquem, the wines that shined out of this tasting were the 2014 Chateau Rieussec and the 2014 Chateau Climens. Many experts see these houses to be only a slight step behind Chateau D’Yquem and I would have to generally agree. While the 2014 Chateau Rieussec shows incredible elegance and a seamless quality, the 2014 Chateau Climens is more masculine and intense, with an unctuous character. These are stunning wines that will age gracefully for 30 more years. Here are my recommended wines from the exciting 2014 vintage in Sauternes.